On Amazon today you can save up to 60% off select Star Wars toys! 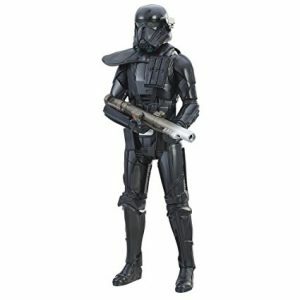 You can get this fun Star Wars: Rogue One Electronic Duel Imperial Death Trooper for just $7.94 – a 60% savings! This will ship free with Amazon Prime or qualifies for free Super Saver Shipping with a $25 purchase.